Zarzuela - All Chucked Up! What is great food exactly? It’s a pretty tough question if you really think about it. Of course, it has to taste great, no doubt. But great food is also somewhat relative. For example… ampalaya dishes aren’t appealing to me at all, but my wife and my father adores food cooked with this vegetable. So, great food isn’t just determined by mere taste. As much as it is “sensorial”, it is also very much “experiential”. Zarzuela is a fairly new restaurant which is located at the 6/F East Wing of Shangri-La Plaza, Mandaluyong City, which serves different kinds of Filipino dishes hailing from different provinces in the country such as Negros, Bicol, Quezon, and Pangasinan. Most of the items on their menu are food that the owners of this wonderful new establishment have grown up enjoying. 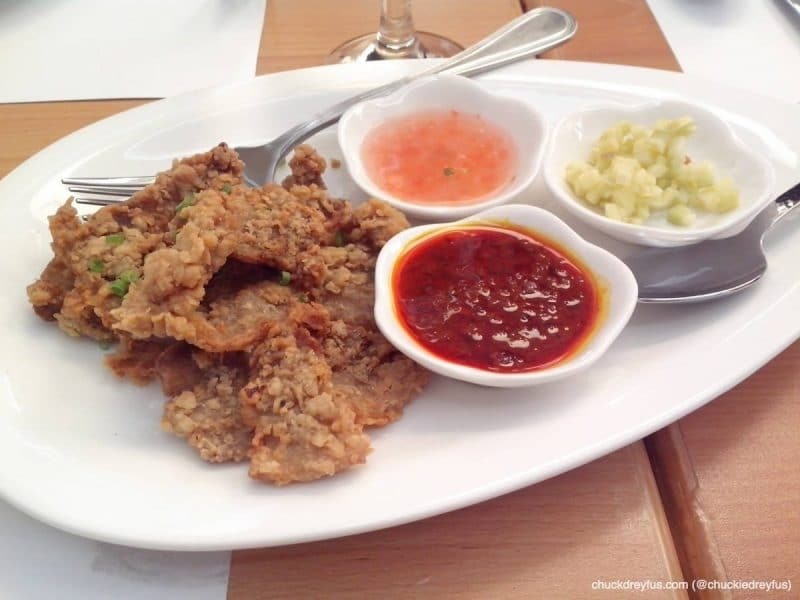 Forget the countless food spots that offer Pinoy fusion fare that, more often than not, dilutes a dish’s true heritage. Zarzuela showcases dishes that are authentically “Pinoy” – straighforward, no-nonsense, and with a lot of history in tow. Real, honest-to-goodness, comfort food. Dishes that probably you also grew up loving. The kind of food that reminds you of your childhood days, perhaps… or takes you back to wonderful places in your past, invoking pleasant memories – just like a time machine. “Fountain of Youth” – pampabata… get it? LOL! 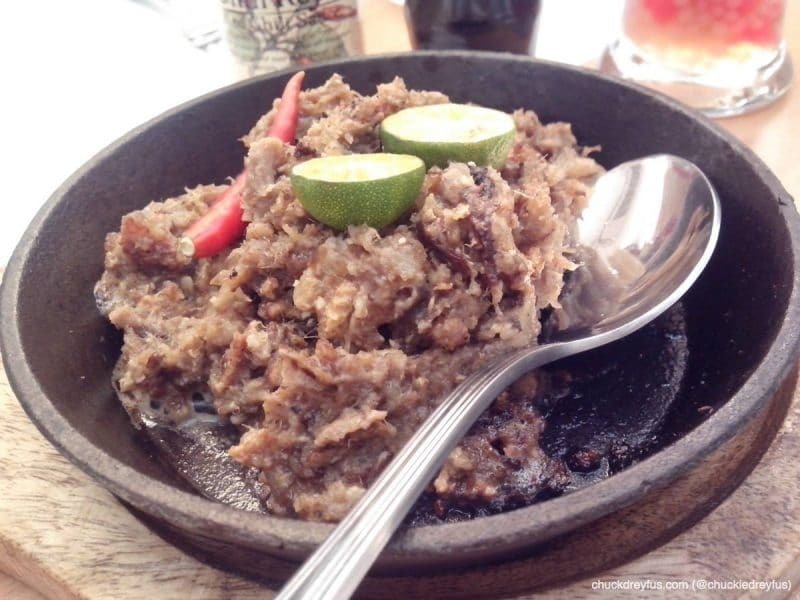 “Cowboy Sisig” – a play on the words “cow” and “baboy”. My favorite! 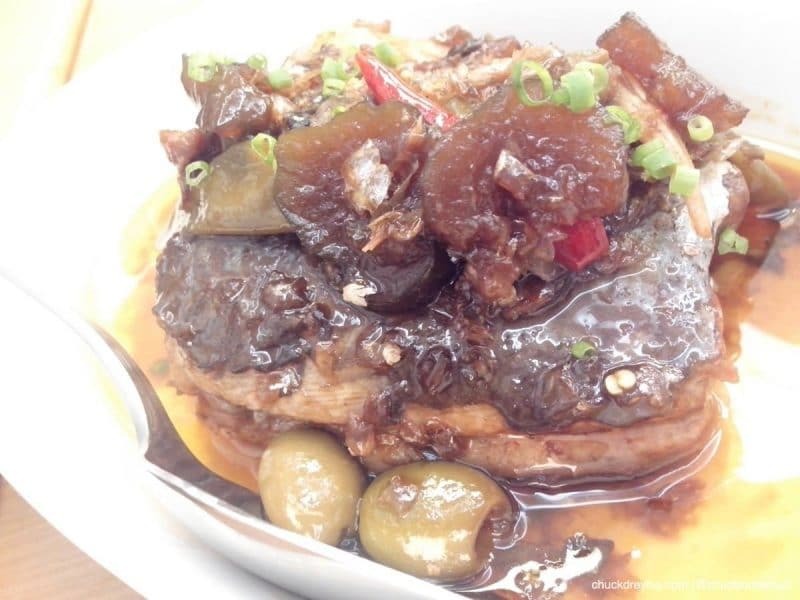 “Spanish-Style Bangus Belly” – Yum! 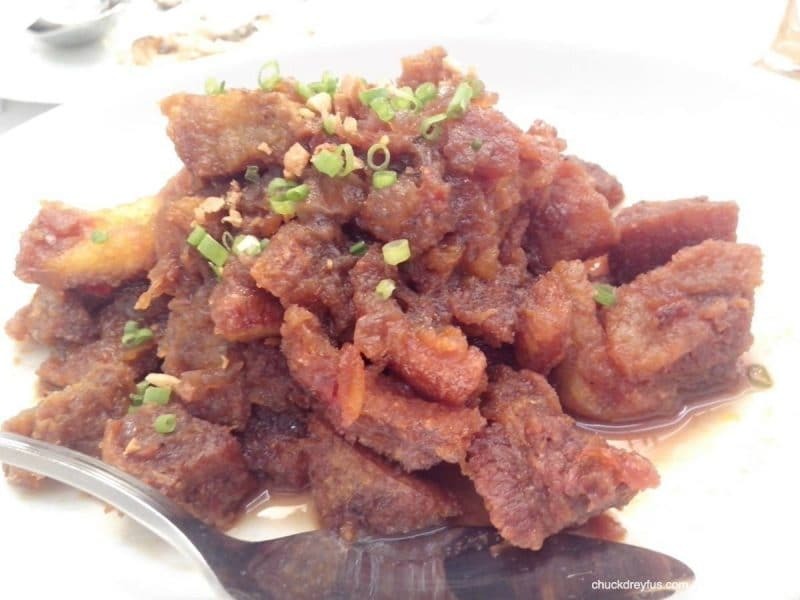 “Crispy Binagoongan” – A must try! “Krispy Pitaw (Snipe)” – Snipe is a native bird similar to Quail but a bit bigger. I love this! 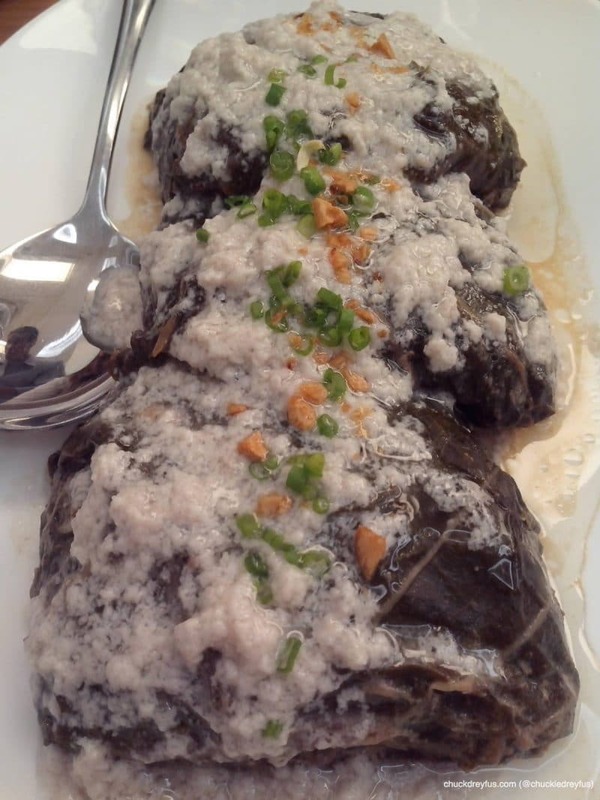 “Pinangat” – A Bicol specialty that my wife adores! Sarap! 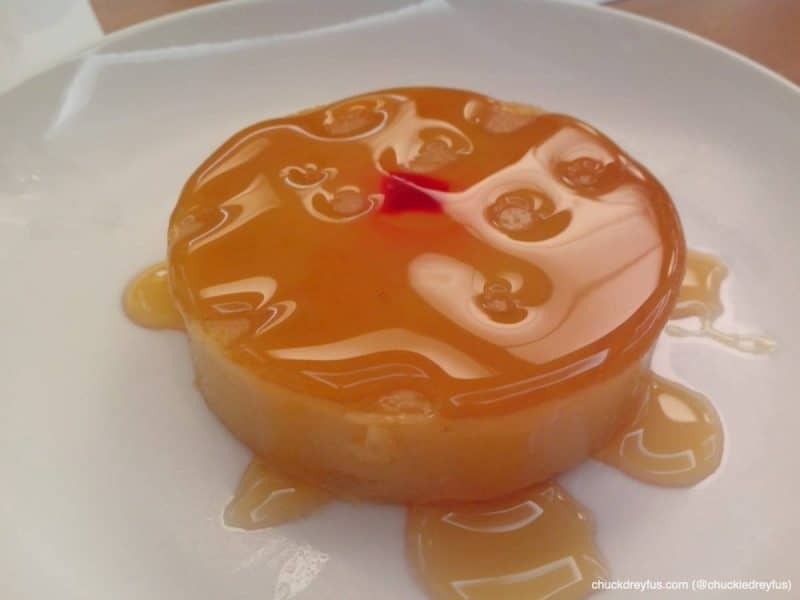 “Tocino del Cielo” – If Leche Flan and Creme Brulee had a baby, this would probably be it! 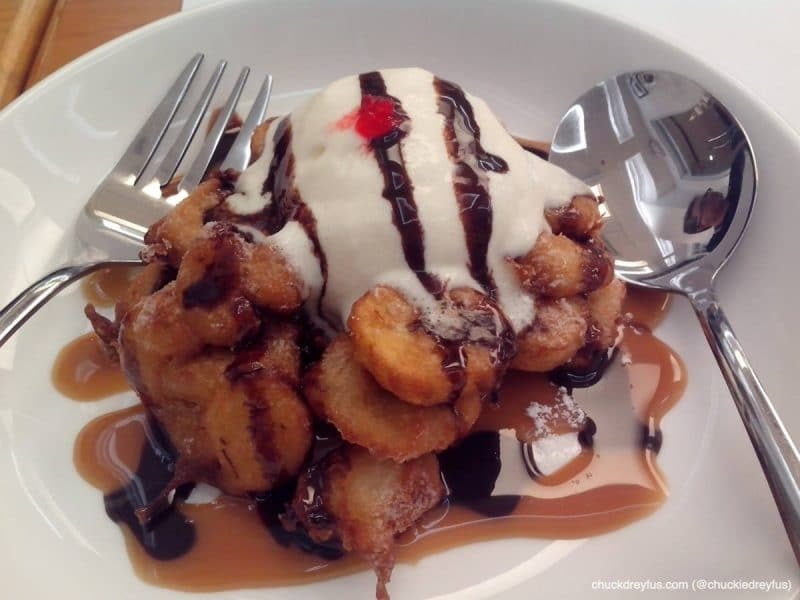 “Maruya ala Mode” – Perfect dessert! Every dish my family and I tried were followed by joyous ooohs and aaahs! The experience was just absolutely wonderful. The place itself is bright and spacious – perfect for family gatherings as well as intimate dining. 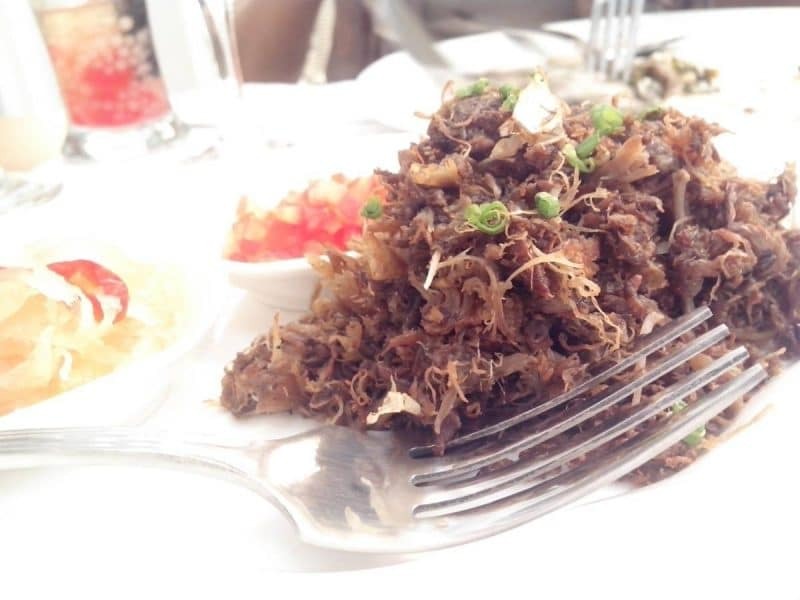 It’s the kind of Filipino restaurant where you can actually take a foreigner to so he/she could really dive in and learn about our country’s vast, diverse and flavorful heritage through Zarzuela’s authentic dishes. Zarzuela definitely merits another visit… and another… and another. But don’t take my word for it… I suggest you head over there and try it yourself. Great food can never be fully described through mere words and exclamations. Like I said, it must be experienced. So, what really is great food? 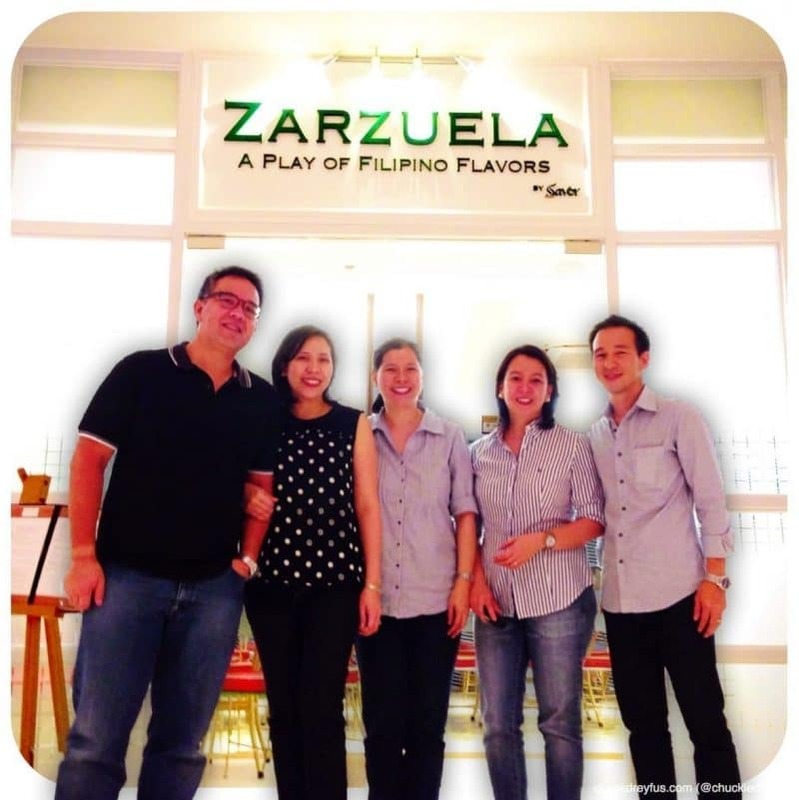 Check out Zarzuela at the Shangri-La Plaza. You’ll know.